Infiltration Definition, What Does Infiltration Mean? ~ Environment Go! Home » Environment , hydrological cycle , infiltration , water » Infiltration Definition, What Does Infiltration Mean? Infiltration Definition will eventually answer the question What Does Infiltration Mean ? what factors affect infiltration ? This article will go in details to define and explain infiltration for clear understanding. Definition of Infiltration is same as Infiltration Definition, the two phrases are interchangeable. In a lay mans' therms, Infiltration Definition could be said to be the passage of liquid through a permeable medium in other to filter out its impurities. Here we will be talking about Infiltration Definition with general respect to environmental water cycle. What does infiltration mean ? 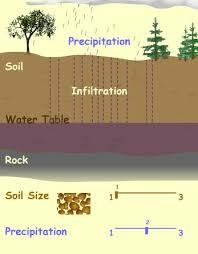 Infiltration is the process by which water on the ground surface enters the soil through sand pores during precipitation. When precipitation occurs, before run off, water first infiltrates into the soil. When the soil have absorbed a reasonable amount of water, the infiltration rate becomes lesser and water starts to fill up on the surface of the soil. The filling up of water on the surface of the soil is what results to surface run off in the water cycle. I will like to explain in details how the above factors affect infiltration and why they do. I will take the points one after the other. This happens in the normal day to day rain we notice in our environment. When there is a sudden heavy down pour, there is little infiltration before runoff. This is because the water flow supply is very high. Also when there is a slow but steady down pour, you notice that a lot of water infiltrates into the soil before run off; that happens because the water flow supply is low. The rate water infiltrates into the sandy soil is not the same rate it infiltrates into the clay soil. The sandy soil have relatively large pores compared to the clay soil which is more compact and closely packed in nature. Water infiltrates faster on loosely bound soil with large pores than it does on the closely bound soil. Soil coverage affects infiltration, this is because before ever infiltration will take place, the water has to first of all pass through the soil covering material and this delays infiltration. Vegetative covering affects infiltration in two ways, it delays quick infiltration but also fosters proper infiltration of water into the soil by preventing easy run off. The slope of an area affects how water infiltrates into the soil in such area. An area with steep slope experiences less infiltration before run off compared to an area with little or no sloping. The initial condition of soil affects infiltration. Dry soil tends to delay immediate infiltration while wet soil permits immediate infiltration if the soil is not yet saturated with water. This process can also be noticed on dry and wet cloths. I hope this article have answered the question what does infiltration mean ? what factors affect infiltration ? and also given a concise definition of infiltration. I hope this article was helpful? Do you wish to be given the opportunity to write on topics related to the environment on our blog? You can write for us or better still, Join Us by sending a proposal email to [email protected]. 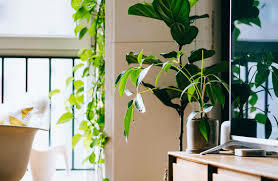 We are looking forward to having you write for us as all articles you write on our blog will be accredited to you, thereby publishing you to the world as a good environmentalist.